Ken-Gøran Mikkelsen has estabished as conductor, and has a wide specter in that area. He has been hired in different occasions to ensembles, bands, etc to teach and/or conduct them in a special project. 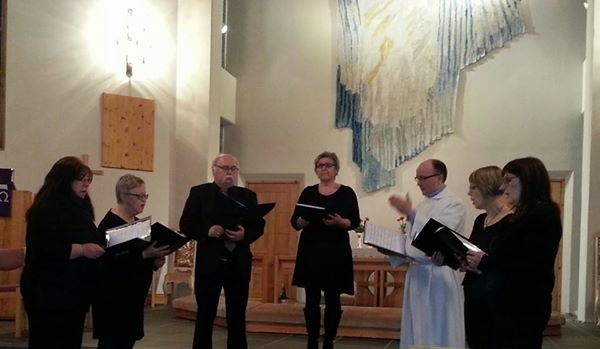 Ken-Gøran is conducting five choirs where two of them are children choirs. He has build up the choir Salig Blanding to be a very good and versatile choir, who sings all kind of music. F.ex. they have done the St. John passion (by J. S. Bach), a film music concert, childrens concert, sung in a movie, several Christmas concerts, etc. He also conducts the brass band Borge Brass Band, which is one of the best brass bands in the northern part of Norway. Ken-Gøran Mikkelsen has played soprano cornet in this brass band previously. He also conduct and sing in the church choir Lofotr Kantori, which is a small choir with only 7 members. 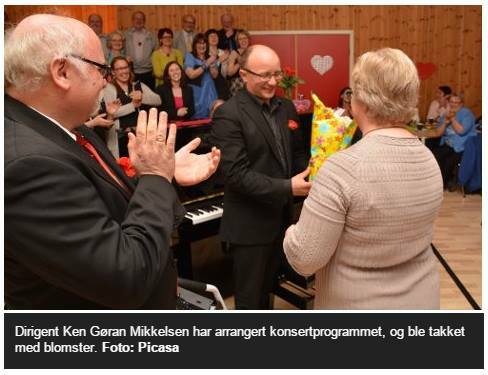 Ken-Gøran Mikkelsen write all their music, and sing bass vocal in this choir. He has also conducted Brass bands, a Bigband in Lofoten, several schoolbands /school marching bands, choir for children and grown-ups, etc. We can mention f.ex. Vestvågøy Big Band.